Saturday May 2 at 4pm welcome author Marsha Wight Wise and browse through her new book Baltimore Neighborhoods! 4pm Saturday May 2 at Red Canoe! On Friday, May 8, 2009, at 6:00 p.m. 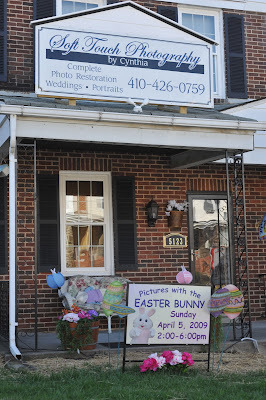 The Hamilton Gallery at 2927 Hamilton Avenue, Baltimore, MD 21214 will feature Lynn Marie Dodds, mosaic glass artist and creator of the mosaic mural for the Hamilton Gallery. At 6:30 pm, City Councilman Robert Curran will unveil the mosaic mural façade at the Hamilton Gallery. Please join me in this exciting event representing a community project that Rizing Son Glass Works has been involved with for the past year. This mural represents many, many hours of volunteer time & tenacity to bring forth this permanent installation, as well as friendships & experiences to precede in future projects. I am honored in this opportunity to serve my community and all who pass by, to share the beauty of art, one broken piece at a time. Thank you for your support & I hope to see you there! Greater Lauraville Homes and Gardens tour! Saturday, June 13, 2009 from 11 A.M. to 3 P.M.
Highlighted homes and gardens participated in the Healthy Neighborhoods renovation projects. The start of the tour will be announced in the near future. Tickets are $7.50 in advance, $10 the day of the tour. From Lesley Brown, president of the Waltherson Improvement Assoc. We are having a community celebration to unveil the Waltherson Sign at Ridgecroft and Woodlea on Saturday May 2. Bring a neighbor or send one as your representative! The Neighborhoods of Greater Lauraville, Inc.
Lauraville spruced up Harford Road with balloons, good food, sidewalk sales and happy faces over the weekend. And the weather cooperated to make this a beautiful Spring Fling! 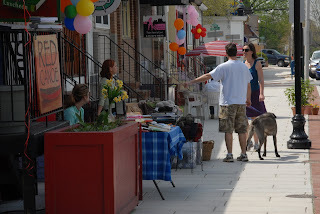 Shoppers included neighbors, children, and even some curious dogs. 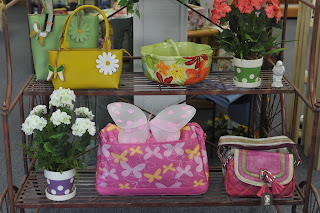 It was a great opportunity to see all the small businesses decked out and looking good for spring! 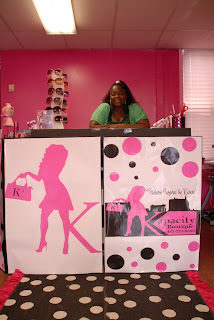 Check out Kapacity Boutique, a new business a 4327 Harford Road. Kijuana Chinette looks forward to showing off her bright & cheerful boutique with hours on Tuesday - Friday from 10-2 and 4-7pm. On Saturday, the hours are 10-2. 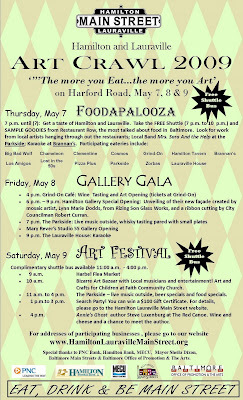 Look for a 15% off discount coupon at the Hamilton-Lauraville Main Street table during the Art Crawl on Saturday, May 9th. 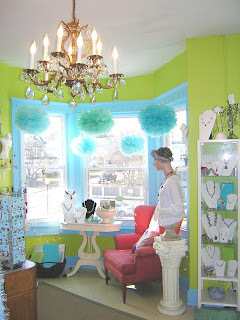 Then check out the boutique! 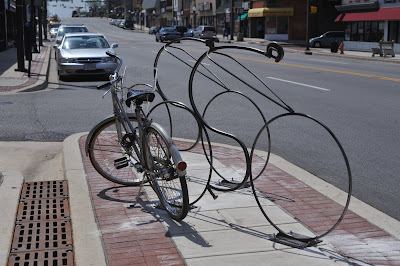 One more good thing happening on Harford Road! The Parkside Restaurant is hosting a fundraiser for MS Research. On May 17, 6–10p.m., please join the Parkside for its 1st Annual MS Research fundraiser with celebrity bartender Duff from Ace of Cakes. Raffles & silent auction with great gift certificates, crafts, floral arrangements, gift baskets & art. 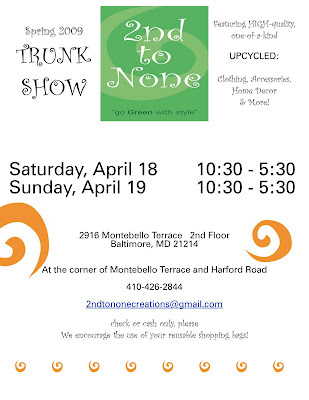 Proceeds benefit the National MS Society & Johns Hopkins Project Restore through the Annual MS Bike Marathon. For more information, visit the Parkside website or click here for a PDF of the event. "Hello everyone, we hope Spring has found everyone well. I just wanted to give an update on some hour changes and events coming up in the future. We will no longer be open on Sunday nights. Our hours are 11am-4pm for Brunch only. website. There will also be a $12 beer flight featuring beers from the US, Belgium, Germany, the UK and Japan. olives; and assorted Oshizushi (box sushi) of crab & avocado, raw salmon & asparagus, and raw yellowfin tuna with srirachi mayo. On Friday May 8th we will also have live music from 6pm-9pm. We will be offering a $25 whiskey flight paired with small plates. Our featured items will be Yamazaki (Japan-12yr Single Malt Whiskey) paired with our Yamazaki smoked octopus with a spicy paprika sauce; Evan Williams (Kentucky-1782 Bourbon) paired with a sweet bourbon B-B-Q; Michter's US-1 (Kentucky-Single Barrel Rye) paired with liver pate'; Sheep Dip (Scotland-Blend of single barrel Scotch) paired with our citrus cured beef; and Bernheim (Kentucky-straight Wheat Whiskey) paired with a triple vegetable mousse. On Sunday May 17th we will be hosting an MS fundraiser from 6pm-10pm. You can get more information on this event here. Thanks so much for your continued support!" Muldowney’s latest success story is the Donovan Fund, created in the memory of two FCS clients, sisters Eleanor and Anne Donovan, who lived together in a small apartment near Johns Hopkins University. The sisters had no other family and relied on FCS for transportation to medical appointments and help with groceries. When Eleanor passed away in 2004, less than a year after Anne, she left behind a signed photograph of silent film star Ramón Novarro—and a humble bequest to FCS of $500. Moved by the photo and the gift, Muldowney started a donation-only film series to benefit clients such as the Donovans, who often end up on waiting lists for city services. Held in the back room of [former] sweets shop Rock Candy at 4321 Harford Road [second floor], the monthly series consists of vintage and recent Hollywood releases, such as the 1937 Cary Grant comedy, The Awful Truth (scheduled for January 17). Attendees range from twentysomethings on up, and Stevenson University assistant film and video professor Christopher Llewellyn Reed leads casual post-viewing discussions. The Donovan Fund has been used in the past month for plumbing repairs (2), emergency food (2 different clients) and a birthday cake was purchased to celebrate a senior’s 100th birthday. The 30 apartments being developed in the two school buildings on the St. Dominic campus will be known as the John Manley House. 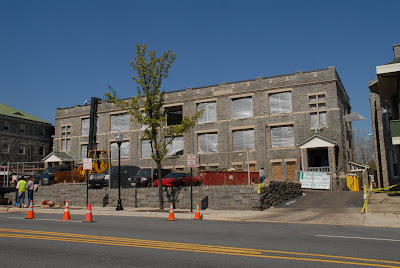 These one and two bedroom apartments should be available for occupancy in the spring of 2010. The management company is Habitat America, 410-444-5244. Income limits for these apartments are $16,000 - $32,820 for one person; $18,750 - $37,560 for two people. Rent, which does not include utilities will be $403 - $675 for one bedroom; $468 - $765 for two bedrooms. Rental assistance is welcome. Amenities include: elevator service, emergency response system, community room, library/computer room with internet access, secured entry access, laundry room in each building and individual climate controls. Heart of Hamilton Gift Shop Now Opened! 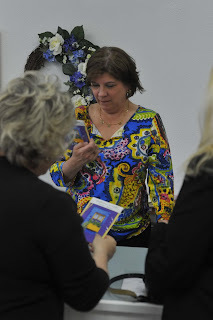 Linda Secor opened the Heart of Hamilton, a new retail gift shop located at 5523 Harford Road on Friday night, April 17th. Perfect timing with Mother's Day right around the corner! 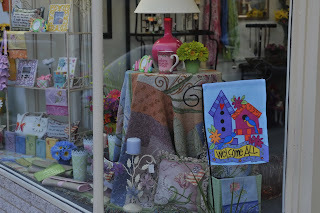 Check out the storefront windows. Window shopping is coming back! Linda has relocated here from Lutherville. Take a moment to stop by. Put her on the top of your shopping list if you are looking for a unique gift. If you had not heard, HAC has received the occupancy permit which allows us to reopen the HAC for public performances. The first scheduled show will be May 9th featuring the comedy of the Baltimore Improv Group. 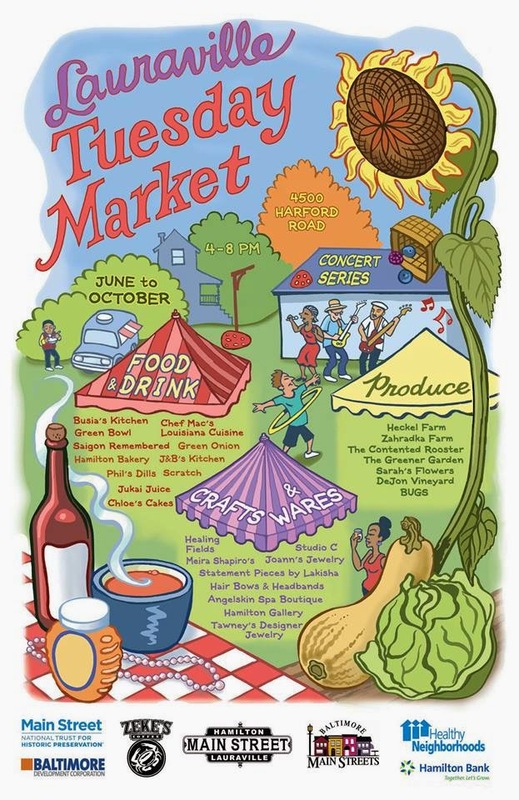 This event coincides with the Hamilton Art Crawl. In preparation for the reopening there are a number of last minute items to be done in the performance space. 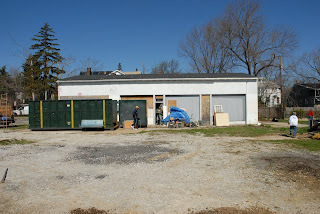 From simple carpentry to clean-up and painting, we still have a number of things to do. We will be having several work days between now and the 9th. If you can join us, it will make the reopening all the more impressive. We will be posting information about work days on the HAC website. Please consider giving us a hand getting ready for our grand opening. See you at the HAC! 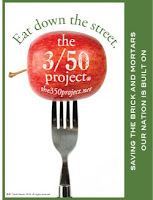 Hangout on Harford: "The Vegetable Party"
This Saturday, April 18th, from 9:00 to Noon, Zeke's Coffee will have coffee, donuts and good company in honor of their 3rd Anniversary. 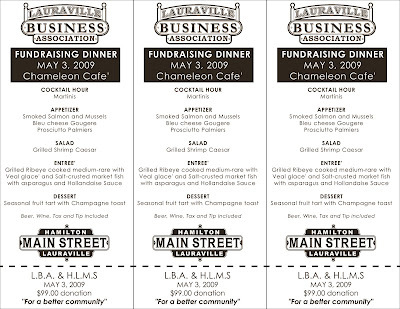 Please join them in celebrating three years in Lauraville. 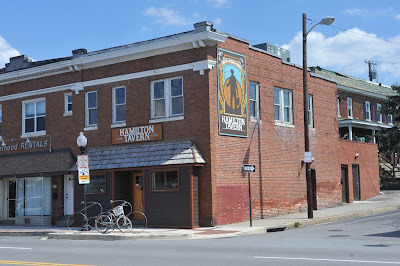 Hamilton Lauraville Main Street wants to know, and see, your favorite hangout on Harford Road. Is it at Spinsters learning how to knit? Could it be at Great Soul meditating or stretching into Adho Mukha Svanasana pose? 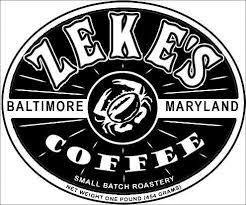 Perhaps its stopping by Zeke's to grab a pound or two of freshly roasted coffee. 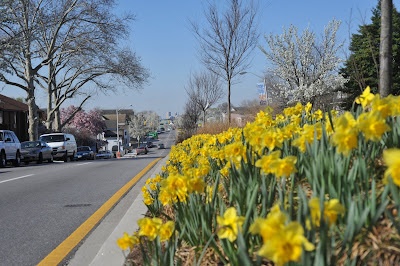 Or maybe it is a place on Harford Road that you would simply like to show-off. Whatever the place, we want to see it and share it! 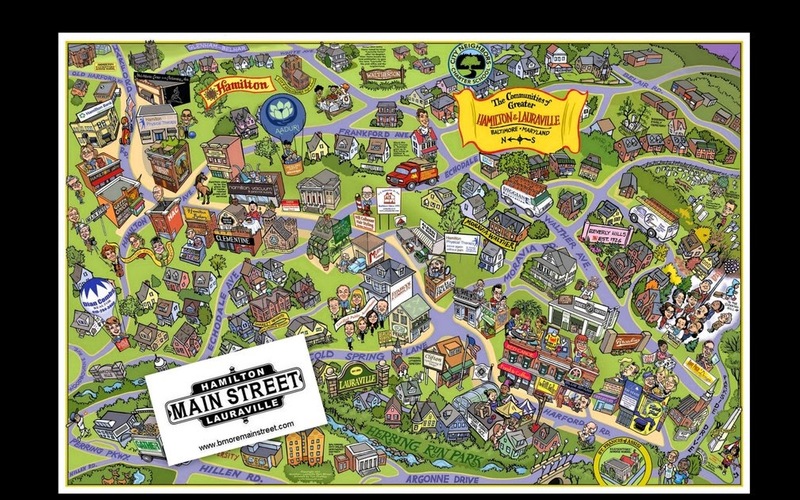 All photos selected will be put on the Main Street blog (crediting the photographer) and may be used on our quarterly newsletter, the Main Street News! We are closed SUNDAY, APRIL 12! But we do have our 2nd Saturday Poetry reading beginning at 4pm and we will re-open Monday at 6am. It is the spring season and we are having a blast playing in the dirt. The garden is looking lovely already and the flowers will soon be poking their heads out! So stop in for a wonderful and relaxed breakfast or lunch in the garden, a cup of coffee or tea, a visit with that friend you keep meaning to call, or a simple and quiet moment of retreat. Browse from our small but great selection of new and discounted books, green books, and poetry. May 2nd brings Marsha Wight Wise with her new book Neighborhoods of Baltimore. Washington Post editor and author Steve Luxenberg on May 9 with his new book Annie’s Ghosts: A Journey into a Family Secret –a book which is getting rave reviews pre-publication. It is a good one! Finally, for the children, we are carrying Milkshake CD’s -- an excellent traveling CD for travel over the holiday weekend or any weekend. No tears, just singing and dancing in your seat! Stop in soon for some good fresh coffee and muffins, breakfast and/or lunch, good books and the best neighbors, here at Red Canoe. Following is an update from Cristin and Winston from Clementine. Well, I'm not digging out my sandals yet, but it looks like spring is gracing us with her presence! We have some new menu items and news to pass along. We are now running a Duroc Pork, Ginger & Sage Sausage that is not to be missed! Try it on the Charcuterie or pick up a couple of pounds to enjoy at home (please give us a 24 hour heads up for take-out sausage and pates). A spicy Mahi-Mahi Ceviche over mixed greens w/ snow peas and sesame oil is a meal unto itself although we are running it as an appetizer. Pan Seared Scallops w/ a D'Anjou Pear, Crab & Grape Tomato Salad is rich with bright flavors for balance and... Duck L'Clementine is back!! Seared Duck Breast w/ A Clementine, Gran Marnier & Ginger Sauce is a new take on an old classic. Our expansion continues but is not done. We MIGHT have to push back our target date. The progress can be viewed from our dining room. Come check it out if you haven't already! Friday, Saturday & Sunday 8:30 a.m- 9 p.m.
Great Lauraville Homes and Gardens tour! 5-7 Houses along the tour that will demonstrate Greater Lauraville Homes and Gardens with a focus on Healthy Neighborhoods renovation projects. The start of the tour will be announced in the near future. Tickets are $7.50 in advance, $10 the day of the tour. Contact the Neighborhoods of Greater Lauraville at 410-444-9188 or www.greaterlauraville.com for more information. Thank you to all who attended our meeting on Monday, March 30th, to discuss the possible uses of the empty lot at 4500 Harford Road. Thank you to Pastor Howard Nash for hosting our meeting at Faith Community Church! And, more thanks to those who joined in to help clean up the lot! You are appreciated! Tina, Adam, Darius, Kevin, Levi, John, Rich, Mabel, Emma, Liam, Aidan, Michael, Nikee, Trinidad, Bonnie, Jeff, Paul, Karen, Mike, Tom, Dian, Joh, Ken, John, Kenneth, AJ, Anna, Eva, Hannah, Gabriel, Tess, Paula, Vicky, Sue, Bill, Gwen, Amy, Ron, Kevin, Cheryl, Charlene, Arthur, Wendy and Jenny. Hopefully, I have not omitted anyone! Please correct me if I have missed anyone. Thank you to everyone who brought tools & heavy equipment for the community to use. Thank you for the Zeke's coffee, donuts, pizza and water provided by our generous volunteers! With this kind of volunteer help, we should be able to really enjoy this space throughout the term of our lease!